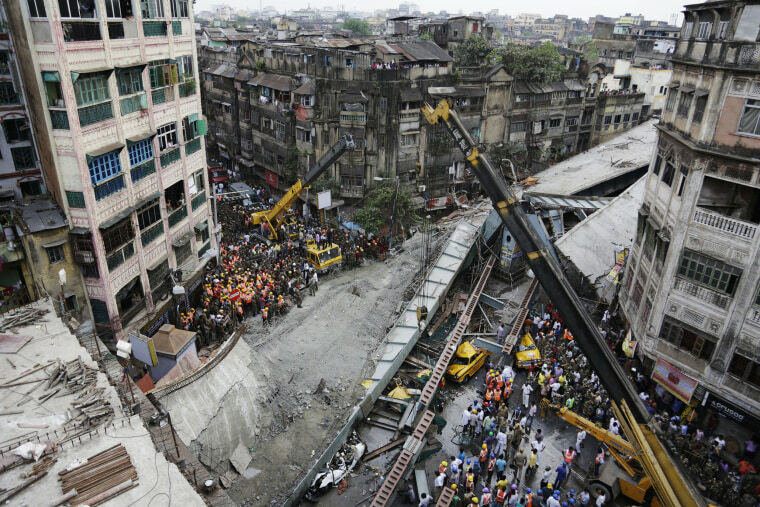 A road overpass under construction collapsed Thursday in a crowded Kolkata neighborhood, slamming into midday traffic. 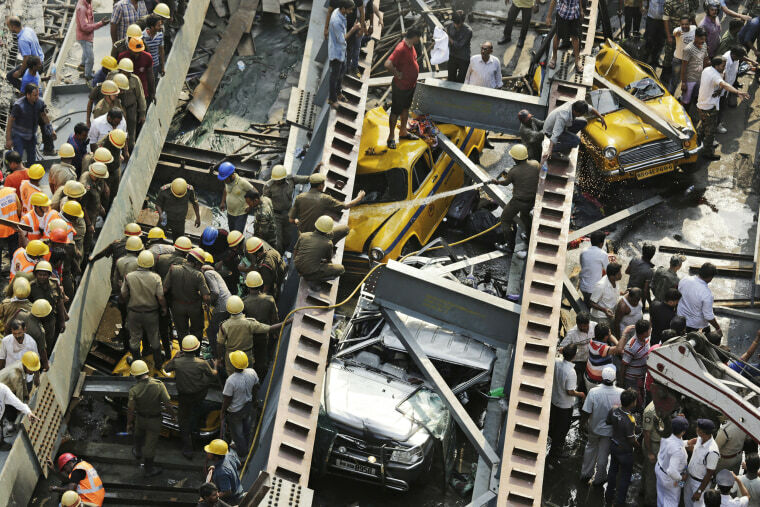 Firefighters and rescue workers search for victims at the site of an overpass after it collapsed in Kolkata, India, on March 31, 2016. 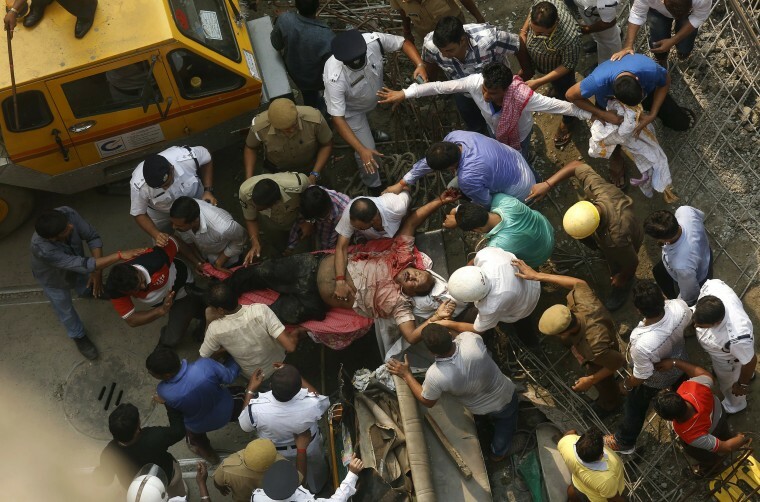 Tons of concrete and steel slammed into midday traffic, leaving at least 21 people dead and scores of others injured in the Indian city, police said. Cranes work to clear the debris at the site of the collapse. 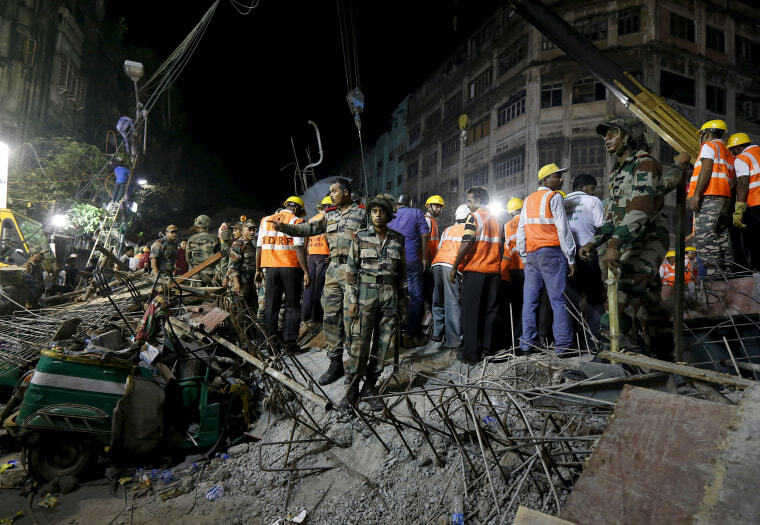 Rescue workers search for survivors after the collapse. 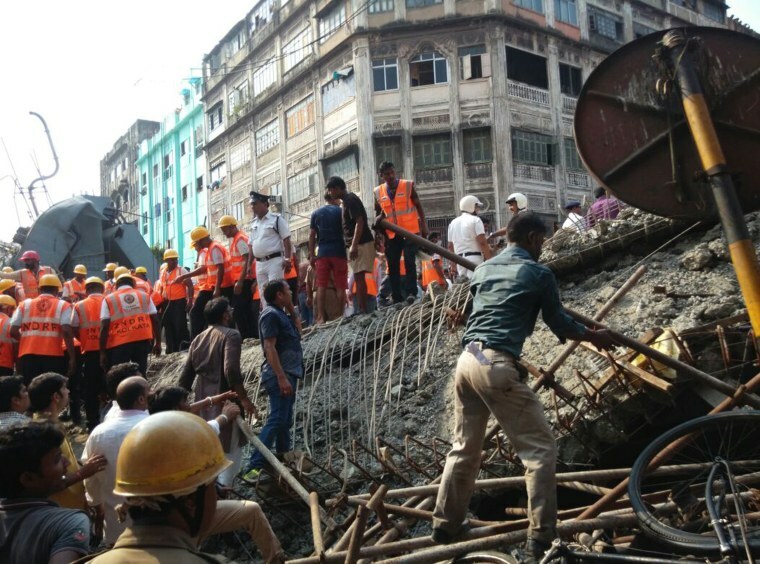 Rescuers carry a victim from the site of the collapse. 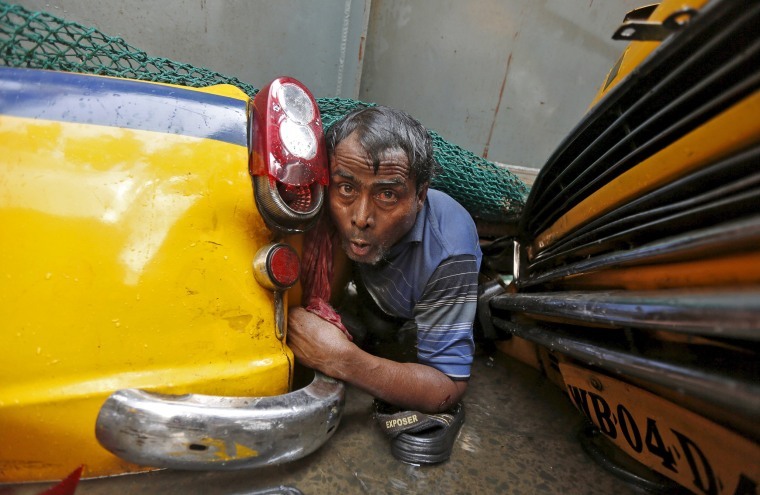 A man lies between two cars after being trapped by debris in the collapse. Rescuers try to remove a vehicle stuck in the wreckage. 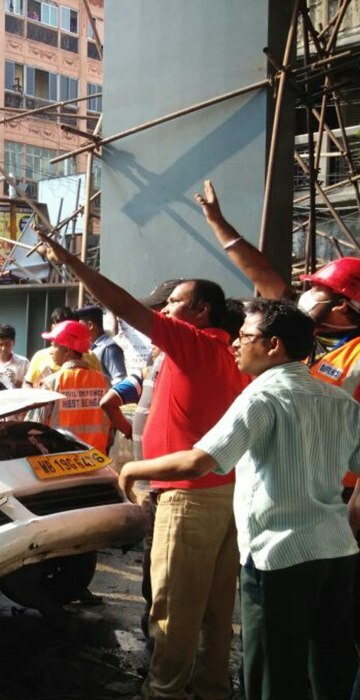 Rescue workers search for survivors. 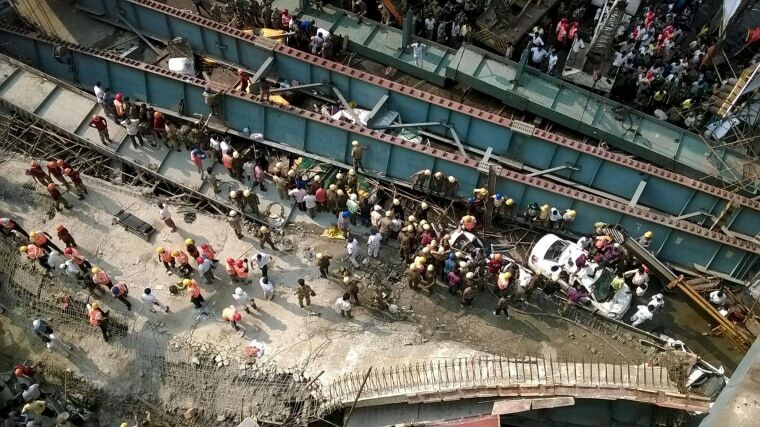 Rescue workers clear the rubble of the collapsed overpass. 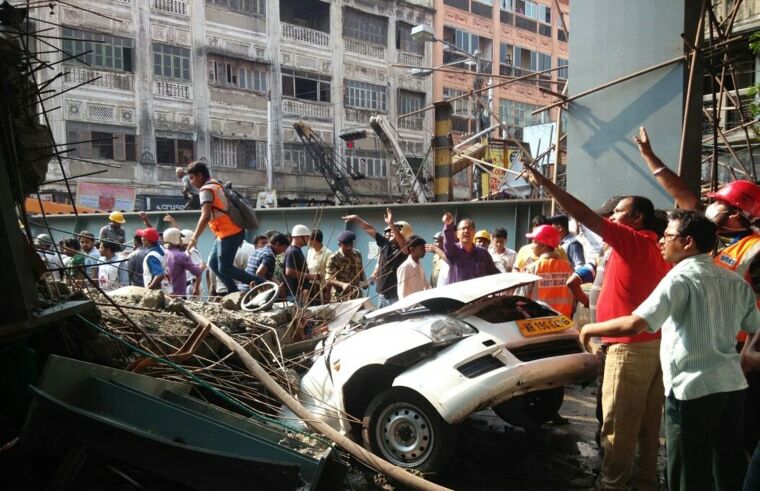 Firefighters and residents were trying with their bare hands to rescue those trapped under the wreckage of the metal-and-cement structure that came down near Girish Park in a teeming commercial district. 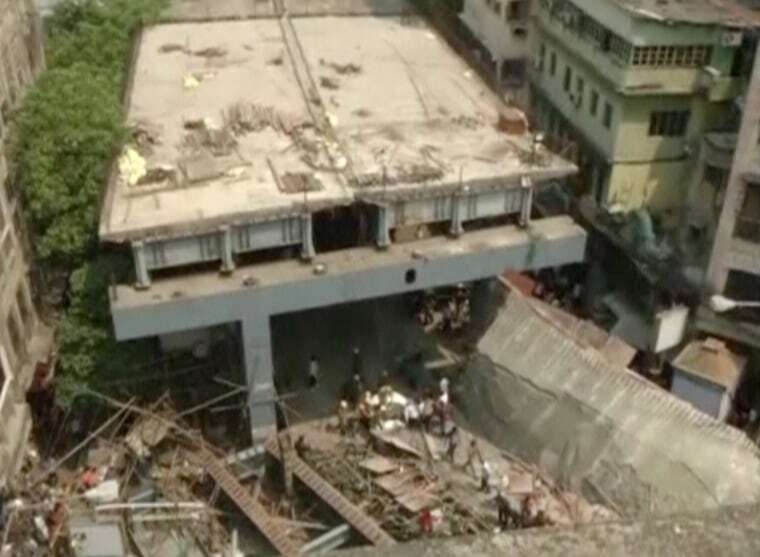 This video still shows the overpass which collapsed on traffic in Kolkata, India, on March 31, 2016. It was under construction at the time.